PLAYA DEL CARMEN, Mexico (AP) — Patrick Rodgers made four straight birdies to take the lead before it was too dark to continue at the storm-delayed OHL Classic at Mayakoba. Rodgers was at 11 under with three holes remaining in the second round at El Camaleon Golf Club. He was one shot ahead of Rickie Fowler, who also had three holes remaining, and Patton Kizzire, who posted a 70 for the clubhouse lead at 10-under 132. 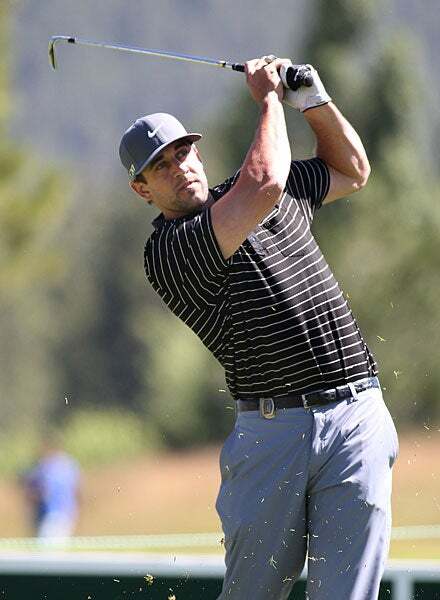 Rodgers, who was seven under for his round when play was suspended, is one of the few players from the high school class of 2011 who is still trying to win on the PGA Tour. Others from that class include Jordan Spieth, Justin Thomas, Daniel Berger and Xander Schauffele. The second round was to resume Saturday morning.